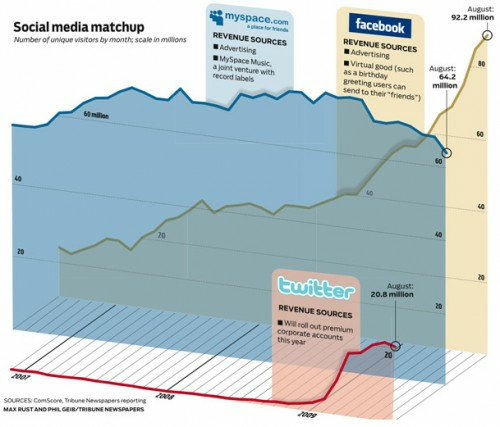 For social media, that’s the companies who have created it at first and that’s the point. Diaspora is a solution with a lack of consideration for the lambda user. If you really want control what you publish on it, you have to install it and that won’t be easy. Even if it will become easy, you will have to keep your computer power on to keep your profile online. There are many others issues and many are going to be solved but still. Nevertheless, Diaspora is the murderer of facebook. The develloper community is now awake, thanks to 4 americans guys who know well how to sell something. Finally, thank you for this free advertisment for the Open Source Social Media and thank you Diaspora guys.